In general, there is not much to be said about the early era of the city, since Shanghai in its early period was only a small fishing town. The first known settlements here emerged not before the year of 5000 BC, but there is nothing specifically known about this period and happenings. Even some hundred years after, the situation remained the same. The area along the Song River, which is known today as Suzhou River was familiar for the developed fishing industry in 4th and 5th centuries CE, during the Eastern Jin dynasty (317–420). This was the period when the city was known by the name Hu, and it is used even today in some of the occasions. The status of the city was not getting better even during the period of the Tang Dynasty in 751, though some changes happened, and they contributed its development later. It is the period when the Shanghai region became the part of the county of Huating. The first time when it became the capital of the Southern Song Dynasty was in 1292. The position made posibble for the small fishing town to enormously develop to a commercial town and county seat. The early 15th century was the period when the destiny of Shanghai officially started to change. It became the interest of Ming dynasty engineers to clean the Huangpu River, which at the time was known as Shen, and in 1553, a city wall around the Old Town was built. The main purpose of the wall was to provide safety during the plundering of the Japanese pirates. The period of the Ming dynasty will mostly remain remembered and important because of the fact that Shanghai became a crucial cotton and textile center, and its population grew even up to 200,000 inhabitants. Nevertheless, the modern history of Shanghai as we know it today starts with the period of the Tang Dynasty. In the 18th century, the trade with the countries like Polynesia and Persia begun to happen, and silk and cotton were what made the city popular and attractive. When the British fleet sailed into the port of Shanghai in 1842 and practically occupied it, new era for Shanghai finally started. The British, of course, had many ideas regarding the city which was rich in things that were quite exotic for them, and they wanted to colonize and control it. They were not the only ones, and with them came many of the other Westerners, with the same ambitions and ideas. The most important events during this period are definitely so called Opium Wars, when British forced Chinese into importing opium that was produced in British India. The First Opium War occurred in 1839 and ended in 1842, and Qing dynasty military forces could not compete with the British. The Treaty of Nanjing marked the end of the war, after which Shanghai became one of five Chinese cities to welcome British merchants, consuls and their families. Of course, not just British, but also people from France, the USA, Germany and many others came here and started establishing their own concessions, which were not submitted to the Chinese laws. Westerners themselves cut off a piece of Shanghai, which was known as the International resort, dominated by the British, from which at one point French Concession broke away and remained to stand firm and independent even up to these days. Another important event that marked the period of rule of the Qing Dynasty in the whole China, including Shanghai as well, was the First Sino-Japanese War, where besides many other nations, Japanese became one more foreign power to pave the way for its own rule in the city. The war ended with the Treaty of Shimonoseki 1895. Japanese were of a crucial importance for the development of Shanghai, since they were the first ones to build the factories, thus affecting the modernization of the city. The end of the nineteenth and the beginning of the twentieth century in history of Shanghai was marked by the huge amounts of people who came to Shanghai, being the reason for population increase ten times in less than fifty years. The result was an enormous population density. Even today Shanghai is one of the cities with the highest number of people per square kilometer. The most interesting thing was that Westerners kept themselves away from this mass of people and continued living in their big and luxurious houses and neighborhoods, completely isolated, following the belief that they were racially superior to the Chinese. During this century, Shanghai became known as “the Paris of the East”, but at the same time it was the center for prostitution and degradation. However, it did not prevent the Communist party to conduct its first meeting in 1921, since the founding congress of the Chinese Communist Party was set there. In general, Shanghai was full of various people who fought for their own place in the city that was to become enormous and successful. It is also important to mention that Shanghai spent eight years under Japanese occupation, from 1937 until 1945, which impoverished and humiliated Westerners, and many crimes towards the Chinese population. After the Americans came into Shanghai in 1945, a huge number of these Westerners, former members of wealthy families, several generations who were born and raised in Shanghai, sailed to the West. Finally, in 1949, Shanghai became a part of the People’s Republic of China and that was the new page of the history of this city. Being finally liberated in May 1949, crucial reforms started happening in Shanghai, and some months later, it became a municipality under the Central Government. Communists and Nationalists were still not quite in peace, and the tension between the two parties could easily be felt, though they appeared to be united when fighting against the Japanese. People’s Republic of China was proclaimed by Mao Zedong, on October 1, 1949, and that was the end of the civil war. The position of the city as one of the most important centers for economy, industry and shipping started to establish, but Shanghai also started being famous for the development of the science and technology. The first years of the Communist rule were everything but easy, since there were many things to change after the years of the Western rule. One year was enough to close all of the foreign companies, and especially vice industries, put to the end of opium trade, and to pull out all of the remaining colonialists from the city. One of the most influential events during this period took place in 1966, and it was known by the name Cultural Revolution. It all started with the Shanghai-based “Gang of Four” whose members were more than provocative; among them even Mao Zedong’s wife, Jiang Qing. The main idea that the revolution fought for was to get rid of bourgeois elements in Chinese society and to preserve and support the class struggle, which eventually turned into political, social, and economic breakdown and disorder, ending finally in 1976 with the arrest of the gang. In the meantime, while the revolution was still on fire, an event that changed the destiny of Shanghai occurred in 1972. It was the meeting of the premier Zhou Enlai and U.S. president Richard Nixon after which the Shanghai Communiqué was signed. It enabled the two countries to build their relations, and included China in negotiations with other countries of the world. With Mao’s death in 1976 the development of Shanghai did not stop, and a new leader Deng Xiaoping established some new and quality reforms in 1978. It did not take long for this reforms to show their results, and by 1982, Shanghai started with the Hongqiao Development Zone in order to attract foreign investors. Though China in general and Shanghai as well went through many economic reforms and the situation in that regard started flourishing, political reforms were not going in the right direction, and there were still many things that needed to be changed. Inflation and corruption, which were quite present at the time let too many social unrests, eventually leading to the culmination in the demonstrations in Tiananmen Square in 1989. The demonstrations were not related just to Tiananmen Square in Beijing, but they also spread to Shanghai, of course, in a slightly different manner. Students and workers demonstrated in Beijing on the square, but students that were studying at Fudan University made their own “statue of liberty”. Only four days after the massacre in Beijing in June, there were some changes ongoing in Shanghai, among them even martial law and tanks that arrived very soon. Unfortunately, several demonstrators ended up dead after shooting. Today, Shanghai is a Chinese city that is the most open ideologically, socially, culturally and economically, and is hardly working on getting back the internationalism that defined it before the Cultural Revolution. The period when Shanghai started working on returning to the golden glow began in 1990 when the Chinese leader Deng Xiaoping decided to compete with Hong Kong regarding the economy and development itself. He believed that Shanghai is the most important part of China, and in order for China to be advanced, this city needs to become more successful. 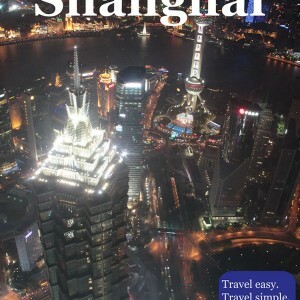 Today, Shanghai is a leader in global business and can compete in economy with any other city. For just a few years has become a host for a national stock exchange, and achieved a fifth of gross of domestic products and made an important industrial base of the nation. 21st century defined Shanghai as one of the most important and developed cities in the world, when some of the most important buildings and products appeared. Among them, Shanghai World Financial Centre was built in 2008 and Shanghai Maglev Train opened in 2004. In general, it is the city that improves quickly, and every year is significant, since it goes through changes rapidly.